One of our key aims is to be completely transparent in everything we do. We’re committed to providing the best quality service available so every final quote is personal to you and details all the elements you need – with NO hidden extras! 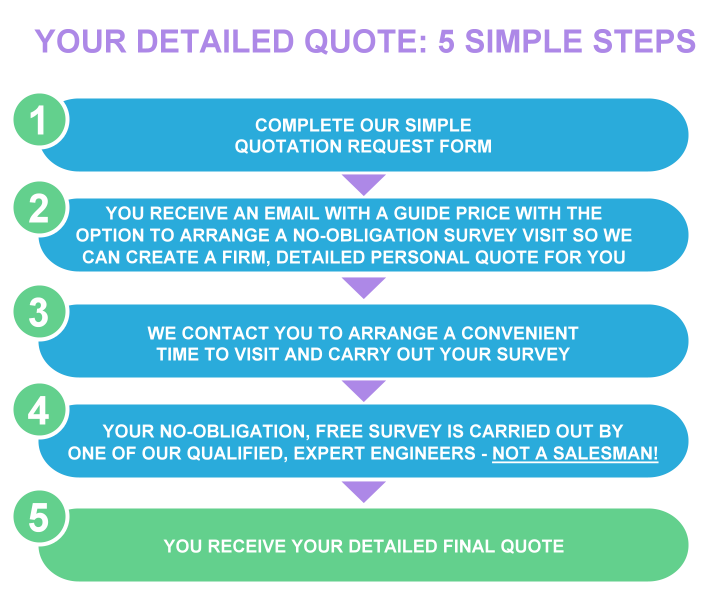 Our simple, online quotation form gives us enough information to give you an initial guide price for your boiler replacement. We then offer a free, no-obligation survey of your home, by one of our expert heating engineers (not a salesman!) so that we can then offer advice and refine your quote to give you a firm, detailed quotation so that you know exactly what your job will cost. It’s then up to you if you wish to give us the go-ahead. Whatever your boiler replacement needs, we’re here to help!